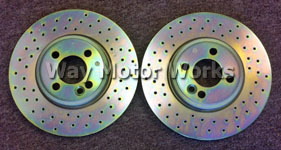 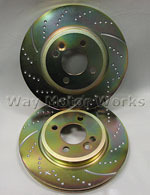 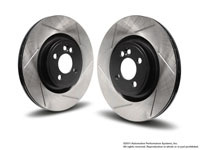 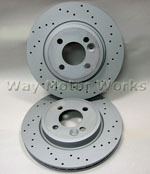 Brake Rotors for 2012-2013 R59 MINI Cooper S Roadster. 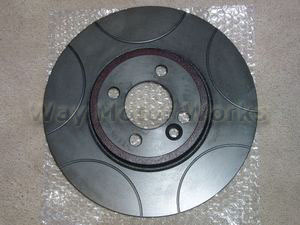 These Brake Rotor Brands include EBC, Zimmerman, ATE, Brembo, WMW, TSW, and NM Engineering. 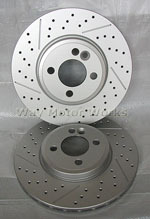 Drilled and Slotted, Plain face, dimpled and slotted Brake Rotor options are available.